We caution our children about the digital paper trails we leave. We need to be aware of what gets posted online, who can see it, and how things can be easily taken out of context. 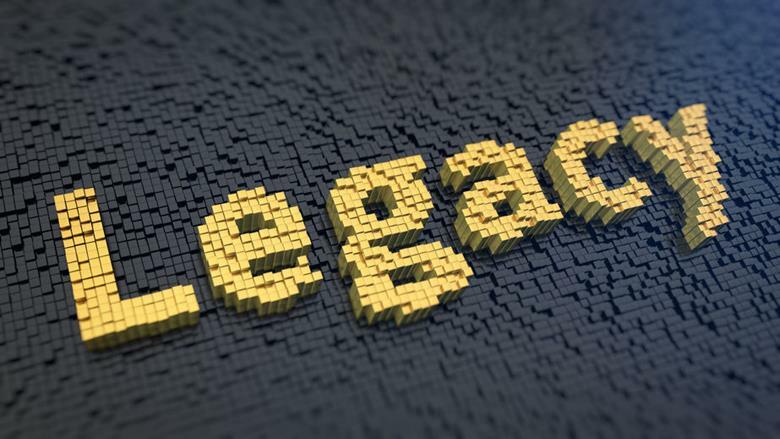 Another problem that is starting to manifest itself is our online legacy. What happens to our social media accounts when we pass away? Can our family access them or are they simply online forever stuck in limbo? Google introduced their Inactive Account Manager option on 11-Apr-2013 to set a configurable timeout period after which your account is simply deleted or passes along to someone else. Facebook introduced on 12-Feb-2015 a Legacy Contact option allowing users to choose who can manage their accounts once they’ve passed away. Previously the profiles were turned into memorial pages. Another way to have access to all of the online accounts would be to ensure someone else has access to your email password. Email accounts are typically used to access all online resources including your various social media accounts. One password to rule them all, lol. You could have this password placed in a sealed envelope in a safety deposit box, safe, or some other location accessible by someone else. If you go to your Twitter or Facebook timeline and scroll down, try to imagine what people will see years from now. We all want a lasting positive legacy. You definitely got a point, I don’t really like the idea of my social media accounts to be just cancelled when I’m months or even years inactive there, and I have never thought about giving to someone my password if something bad happens to me… I will be considerate it. The last thing that you said got me thinking a little bit, nowadays we’re not sure at all how people about 100 years ago looked and even thought like, because obviously they didn’t leave anything for us, but imagine 100 or maybe 200 years ago, people can actually look for blogs or Facebook pages just to see how life was like, and I found that extremely interesting. All jokes aside I like the idea of passing your account to someone after you die, but I’m yet to see the heirs making too many posts on the dead person’s account. Never really thought much about it, figured the accounts just get deleted after being inactive for so long. My grandfather passed away almost a year ago but his facebook is still. I have no idea what my parents did with it since they handled everything but I guess they just left it alone and it’s nice that I can on there anytime and see his pictures and stuff that he did post. I guess it does make it kind of a memorial in a way, which I find I find it to be comforting. For someone who had an online business or was a champion for some cause whatever it is, his/her death shouldn’t mean that all the work they’ve done was for naught. Access to their accounts could allow someone to continue what they were doing. Unfortunately though is I don’t think many people know there are ways to secure their online legacies. Very relevant discussion. What happens to our social media accounts once we pass away! Personally, I do not like the idea of simply being obliterated from the face of the earth like that. The Online world is as real as the real world and our online identity should remain valid like our social identity at least a while after we are gone. So it’s a good idea to bestow our internet legacy upon somebody so he or she can carry it forward. This is exactly why I don’t post anything personal on Facebook or other social media and I’m baffled to see that a lot of people share everything about their lives. I don’t want to leave anything on social media sites. If I make something noteworthy it’s not going to be on one of these sites.